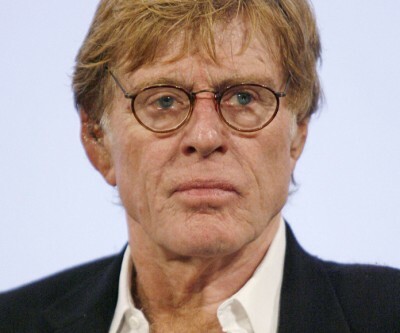 Oscar winner and veteran heartthrob Robert Redford has decided to contribute some of his starpower to America's anti-fracking campaign. ABC reports that Redford, who has become a strong supporter of environmental causes in recent years, has lent his voice talents to five advertisements which will be aired in New York on Tuesday. The advertisements are funded by the Catkill Citizens for Safe Energy and call for the public to protest against the use of hydrofracking in the oil extraction process. In the advertisement the founder of the Sundance Film Festival says that fracking is a "dangerous mistake" and a "bad deal for local communities." He then claims that "fracking for gas threatens drinking water supplies, contaminates the air and contributes to climate change," and that much of the shale gas is destined for export to overseas end users. Redford joins an impressive list of Hollywood stars who have agreed to use their celebrity status in support of the anti-fracking movement. A-list actors Matt Damon, Richard Gere and Alec Baldwin have already lent their voices to anti-fracking advertisements.